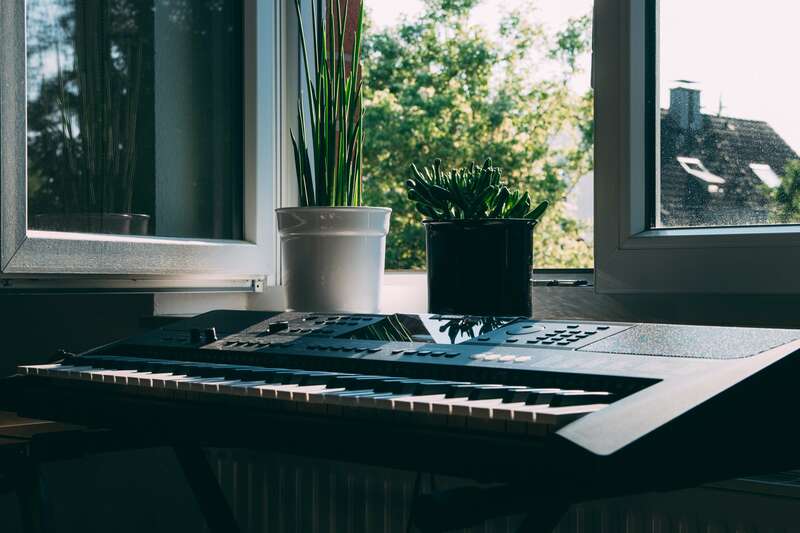 With the growth of MIDI controllers in modern music, musicians are using laptops more often for gigs. This is the main reason that there is now more of a demand for a laptop stand for musicians. DJ’s or keyboard players can use out of these. Or simply, the guy in the band who runs the tracks for the band, often the drummer. After years of using these stands, I like the Quik Lok LPH-003. 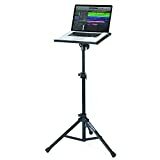 Musicians need a laptop stand or a keyboard stand with a laptop attachment so they have a safe place for their computer. When plugging USB cables into your laptop from your keyboards, I recommend taping them with gaff tape to your device so they can’t get ripped out easily. What Is A Laptop Stand For Keyboard Players? 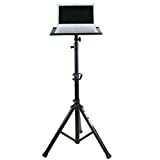 Laptop stands are stands that musicians can put next to their keyboards or they are keyboard stands with laptop holders. It is important for bands to properly protect their laptops as the environment on stages is usually not the best for equipment. 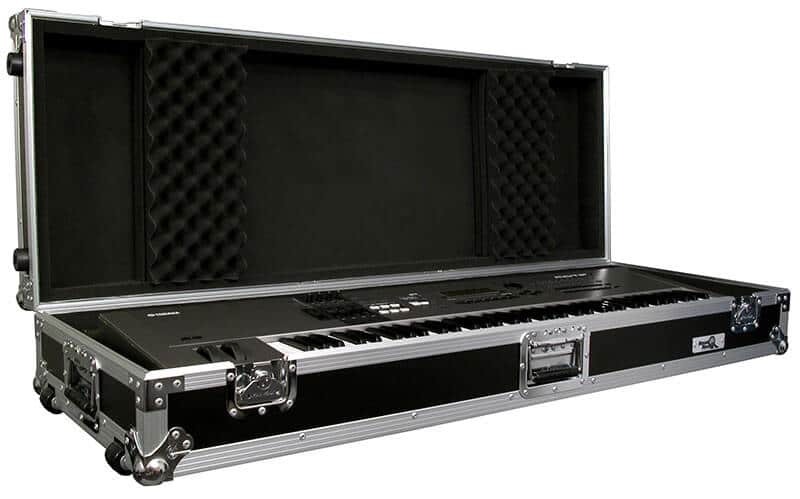 Laptops are needed for musicians who are using a MIDI controller on stage. We recommend something that has adjustable height so the musician can access their computer easier. When buying a stand for on-stage, you want to make sure that your computer fits on the stand or attachment you purchase. The height of your stand is important. You want to be able to access your computer with ease so it is important that you don’t have it super low to the ground. 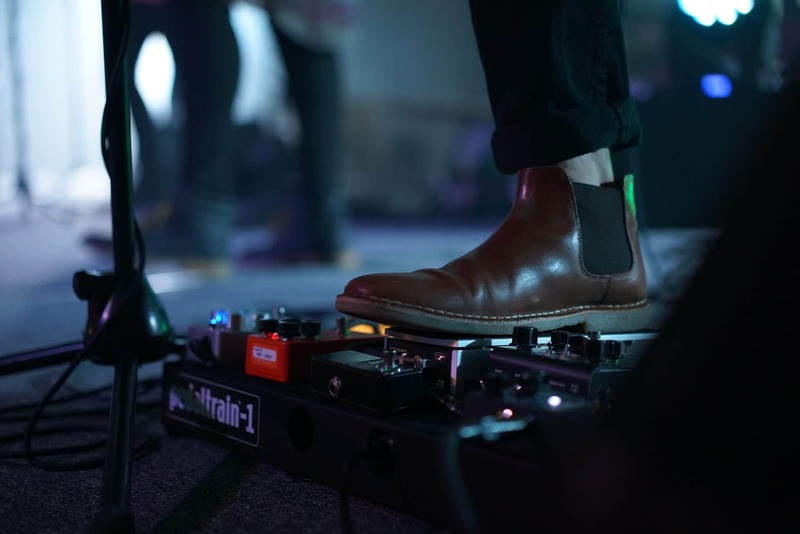 If you’re a touring musician, you want to have something for on-stage that is easy to set up and tear down every night. This is why I recommend a keyboard stand with a laptop holder built in, you kill two birds with one stone. Also, if you have problems with your laptop it is much easier to fix if you don’t have to walk to your laptop. 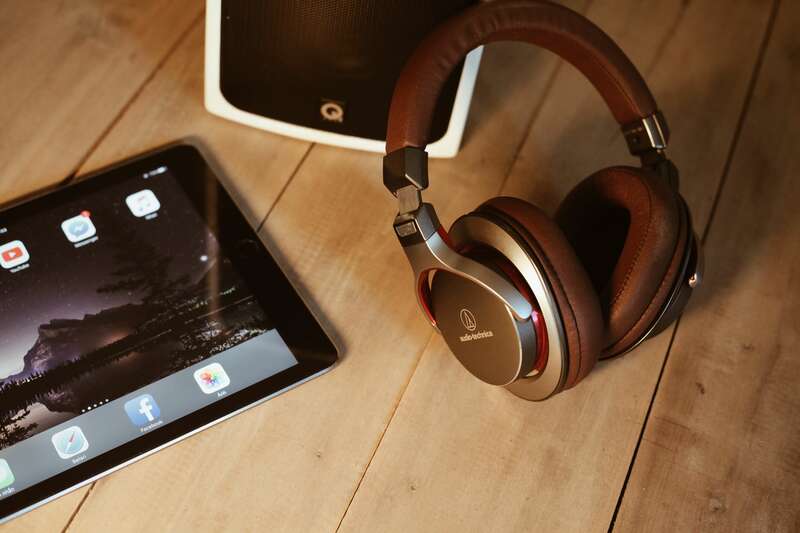 These will work with any keyboard, no matter the brand. If you’re using more expensive brands like Roland, Korg, Yamaha, Nord or maybe Apple, I would definitely recommend you get a nice product to protect your investments. 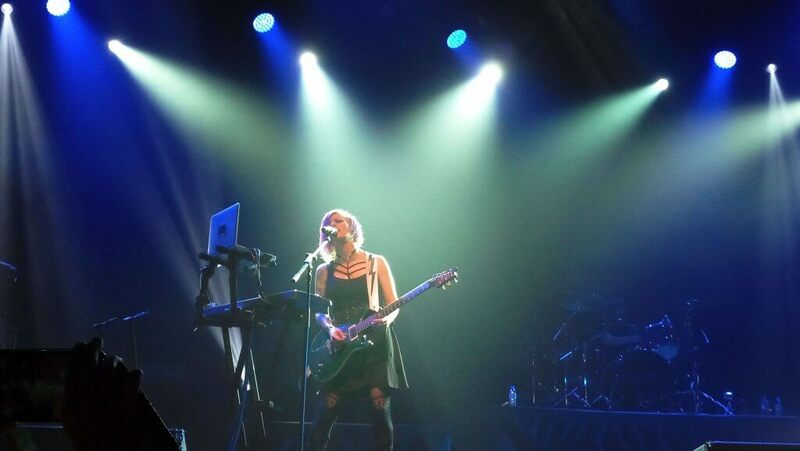 Laptops are very expensive, you want to make sure that your investment is secure every night when you’re on stage. Worrying about your computer is not a fun feeling when you’re trying to concentrate on the show you’re playing. ADJUST HEIGHT, DEPTH AND ANGLE: This double keyboard studio stand allows you to adjust the height and depth of both tiers, as well as the width and angle of the upper tier independently, according to your needs. Bottom rack: From 24" to 33.5" in height, 17" to 27" in depth and 29" to 45" in width. Upper tier: From 8.5" to 13.5" in height and tilt from fully horizontal to nearly vertical position. The legs will conveniently swivel inward or outward to fit most sizes of audio or music gear. GET THE BEST PRICE ON THE MARKET: If you're looking for a top quality, double piano keyboard mixer stand at the lowest price possible that will still deliver outstanding performance for years to come, then you need look no further. This Griffin dual mixer rack comes with an unbeatable price tag that you won't find anywhere else on the market! This stand by Griffin is unique being that there aren’t really any of these on the market. This is very surprising and we expect to see more keyboard stands with built-in laptop attachments in the future. A nice feature with this stand is that it is extremely adjustable for pianists. You can adjust the height and depth on both of the tiers of this stand. This is definitely a bigger product and it is a little more on the heavy end at 24 pounds, but it is durable and can hold up to 300 pounds. The Quik Lok LPH-003 is constructed completely with steel and it comes with four adjustable stoppers for your computer on stage. This is extremely adjustable in height and it swivels at 360 degrees for your ideal laptop positioning. I like that it is light-weight making it easy to bring with on tour. The Gator Frameworks-UTL is a great product for on stage that can fit some of the biggest laptops. The tray surface measures 19.25″ x 15.75″ with 1″ flanged edges. It is constructed from steel and it comes with EVA rubber pads. This is a great stand for musicians in general. Heavy-duty steel construction for both professionals and home users. Weighs ~ 11 pounds! Holds most laptops/notebooks and other DJ audio equipment. Plate measures 15.5 by 11.5 inch with raised support lip on front and back. The plate has open sides to allow placement of wide equipment. Height can be adjusted between 33 and 53 inch. Safety metal pin allows placement of heavy equipment. This product for on stage is constructed from steel and it fits most laptops. The plate measures 15.5 by 11.5 inch with a raised support lip on front and back of it. Hola! made a quality product and the sturdiness of this is one of its best features. Samson is a brand that is usually on the lower end of the spectrum, however, this is a quality product that has a silicone surface to hold your laptop in place securely. 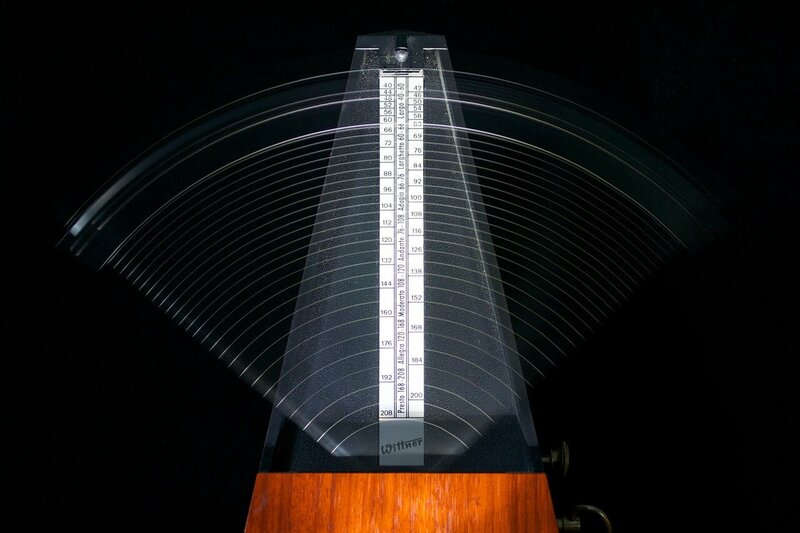 The LTS50 is lighter than most other products, but it is still constructed from steel. If you are using your laptop with a MIDI controller live, I recommend taping using gaff tape to tape your USB and power cords to your device. This will prevent your USB cable from easily getting ripped out while on stage. I hope this list provided you with the information you need for purchasing a stand for live music. I recommended these specific products because I know from touring what kind of stand works the best on stages. It will be fun to see where stands are in the next couple of years and whether or not they start to come with laptop stands built-in. If you have any questions, leave them in the comment section and we will reply!